Remember Donald Trump’s stupid space force idea? Well, it is happening. On Thursday, Vice President Mike Pence week, announced: “The time has come to establish the United States Space Force.” Time to make Battlestar Galactica a reality. The Pentagon and Department of Defense haven’t actually created Trump and Pence’s beloved Space Force because that would require Congressional approval. Instead, they are launching the United States Space Command, which will develop space war-fighting tactics, train an elite group of service members in space warfare, and create a new, joint agency to buy satellites and other technologies, among other initiatives, Pence said. 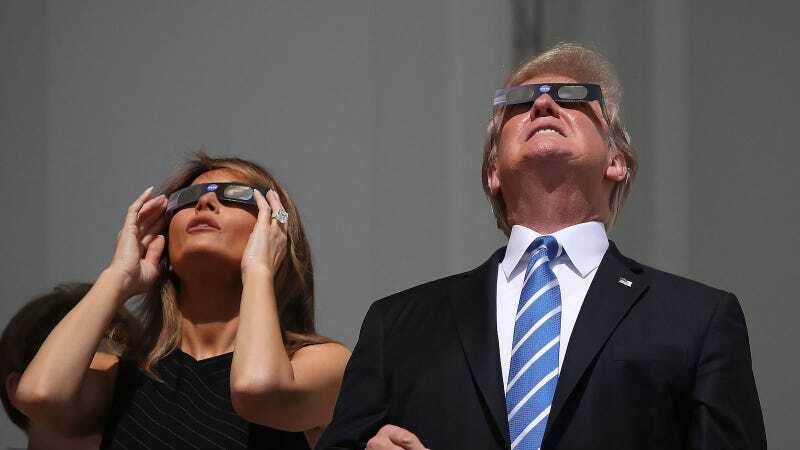 He called for Congress to create a new branch of the military, the space force he so deeply desires, by 2020. Trump’s idea for a futuristic space service has raised deep concerns among some military officials and senior Pentagon commanders, especially in the Air Force. They fear losing responsibility for space and the nearly $8.5 billion of its budget that now goes for building and launching satellites, along with other space systems. What exactly are we gonna be dominating out there? Asteroids? Cylons? The aliens that embrace Jodie Foster’s character in Contact, the only space movie I truly remember loving? Or will it become another way to annihilate poor black and brown people across the globe as Elon Musk scurries over to Mars? If designed like the other military services, a space force would be responsible for training and equipping personnel for warfare in space but would not engage in combat. Instead, its personnel would be assigned to the space command the Pentagon is proposing or to existing combat commands. Maybe his space force is not meant to fight anything; perhaps it’s just another way for Trump to mark his territory.